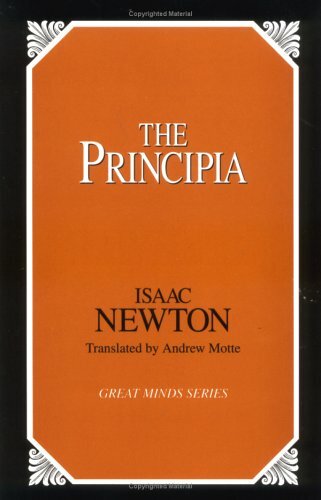 Sir Isaac Newton's Principia Mathematica (Mathematical Principles) (1687) is considered to be among the finest scientific works ever published. His grand unifying idea of gravitation, with effects extending throughout the solar system, explains by one principle such diverse phenomena as the tides, the precession of the equinoxes, and the irregularities of the moon's motion. Newton's brilliant and revolutionary contributions to science explained the workings of a large part of inanimate nature mathematically and suggested that the remainder might be understood in a similar fashion. By taking known facts, forming a theory that explained them in mathematical terms, deducing consequences from the theory, and comparing the results with observed and experimental facts, Newton united, for the first time, the explication of physical phenomena with the means of prediction. By beginning with the physical axioms of the laws of motion and gravitation, he converted physics from a mere science of explanation into a general mathematical system.